Kolkata: In an unprecedented move, Calcutta High Court has directed the West Bengal State Election Commission to validate some Panchayat poll nominations filed through WhatsApp. Justice Subrata Talukdar of the High Court has also warned the poll panel that a failure to validate the WhatsApp nominations will compel the court to stall the election progress at Polerhat gram panchayat. 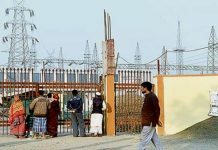 The move comes after CPI-ML leader Sharmistha Choudhury, who is leading the anti-power grid agitation at Bhangar in South 24-Parganas district knocked on the High Court. Choudhury alleged that Trinamool cadres were stopping nine candidates from the filing of nominations for the Panchayat election and this has made them WhatsApp the nomination papers to the concerned official. On hearing this, justice Talukdar today directed the SEC to accept the WhatsApp nominations filed by the nine candidates from Bhangar.